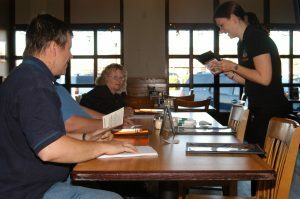 Image of a group of blind and visually impaired people reading accessible menus. Horizons for the Blind puts a great emphasis on accessibility and making the world a place where the visually impaired can achieve independence and self-reliance. While we promote access for all, we recognize that there is often a cost to creating that access. This is especially true in the restaurant industry. We strongly encourage all restaurants to make braille and large print menus available for their customers. Horizons realizes that many restaurants don’t think of accessible menus, so here’s a few reasons why they can benefit your restaurant. How do Braille and Large Print Menus Help Your Restaurant Succeed? Blind customers, especially, who feel more welcome are far more likely to become repeat customers. Just like any facet of life, people are more likely to repeat the things that make them comfortable and happy. Create this sort of environment for your blind customers. Your loyalty to them will be returned to you manifold in their loyalty to you. 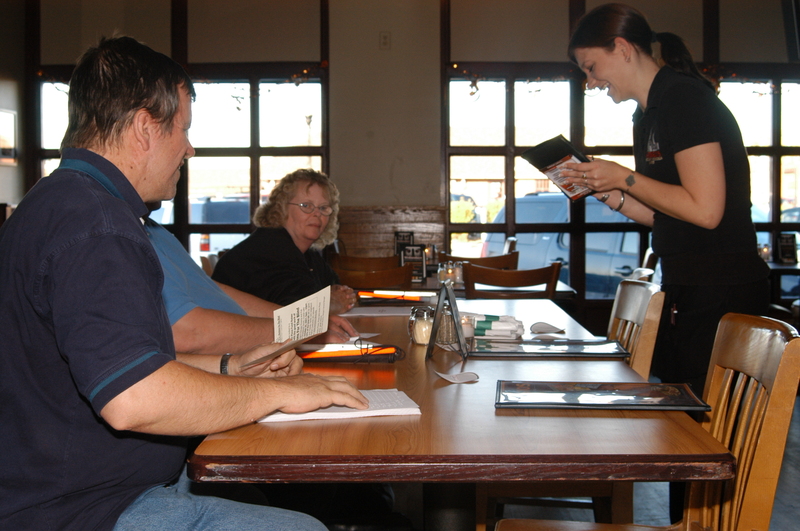 Accessible menus generate greater efficiency for your wait staff. When things get busy, your staff is pulled in different directions by many customers. It certainly would be a reasonable alternative to have a server read the entire menu with a sight impaired patron, but that takes valuable time away from the rest of their tables. Great service for the blind patron, not so great for all the rest. Your wait staff will thank you because they will be able to serve everyone efficiently and increase their own potential to earn higher gratuities. What is the Cost of Braille Menus? Probably less than you are paying for your full color current menus. There are many variables to the cost element. The best way to determine if braille menus are a cost effective way to better serve your customers is to contact Horizons for the Blind with the particular details of your situation. A better question to ask is what is the cost of not having braille menus? Clearly that cost is a less welcoming environment, a less enthusiastic customer base and a less productive wait staff. Contact us by phone or email at 815-444-8800 or mail@horizons-blind.org and see the improvements.